The Scenic can come with a petrol or diesel engine with the diesel engine returning up to 68.9mpg. Throughout all the range including the more powerful and better performing engines fuel economy is very good so you can don’t have to compromise too much on fuel economy if you are after something a little more sporty. The interior has a vast amount of room for passengers. The driving position is comfortable and can be adjusted easily. 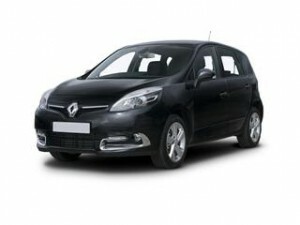 If you are covering long distances or motorway miles the Renault Scenic is ideal. Equipment as standard includes air conditioning, Bluetooth phone connectivity, automatic headlights and wipers, keyless entry, alloy wheels and sat nav. Boot space is as impressive as is the spacious interior, with 522 litres of storage space available, the back seats can be removed which makes it capable of up to 1,837 litres of space, rivalling the van market. Usually that new car smell comes with a premium price attached. However here at Coast2Coast Cars we can provide a service which could drastically reduce the cost of purchasing a brand-new Renault Scenic. We work directly with a large network of car dealerships selling new cars significantly cheaper than the list price. This allows us to pass on the savings direct to you. We can even advise on finance subject status. Find out how much you could save today with our new car quotation service. Simply fill in the quick form which allows you to informers of the model, spec and any additional extras require and we do the rest presenting you with a list of prices for your new car.